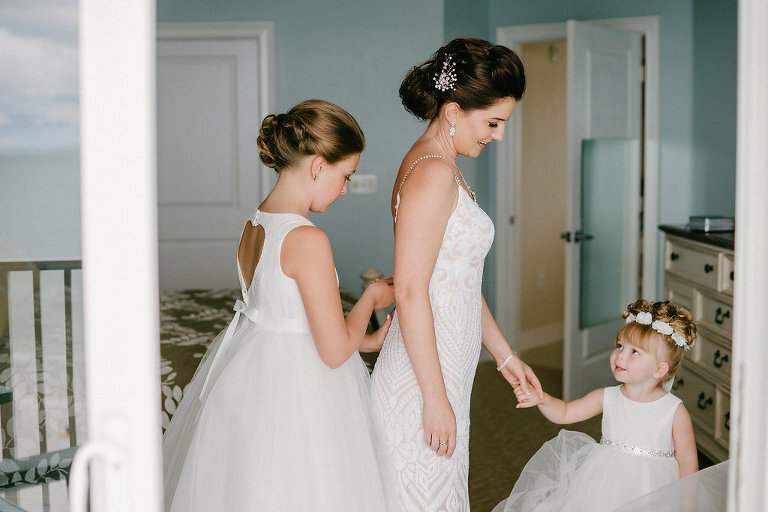 Shannon and Justin’s bright and beautiful Clearwater Beach wedding brought together friends and family from across the country for a fun-filled Florida celebration. 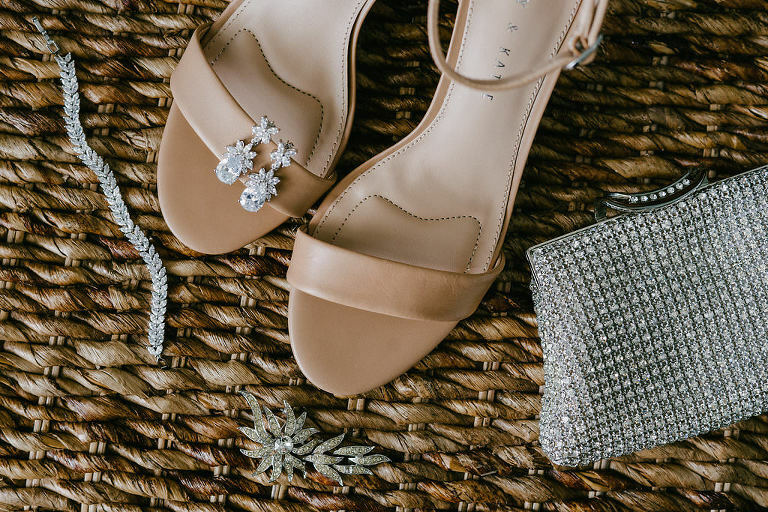 With fruity, fun pineapple cocktails and a weekend packed with activity and laughter, this special day shined bright. Making sure every detail was perfect took time and effort, but the pair knew that in the end all of the hard work would pay off. 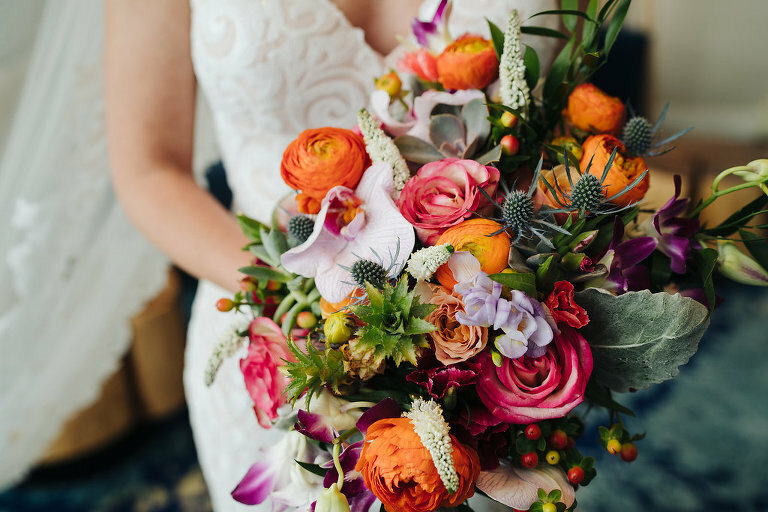 “We did so much research on the area, and we used Marry Me Tampa Bay many times to get a feel for different weddings and inspiration from the area,” Shannon explained. To alleviate the stress of planning a long distance wedding, the Canadian couple knew a Clearwater Beach wedding planner was vital. When it came to choosing a Tampa Bay wedding photographer, the bride and groom wanted someone who could capture the emotion of the day, without taking away time from family and friends. While planning an unforgettable wedding ceremony, Shannon and Justin honored a special member of their new family. “The ceremony was very special. For both of us, we knew that our wedding day was not about just the two of us but about our family. We honored my daughter in the ceremony. We had a special medallion ceremony during our vows that allowed my daughter Ella to come up and get a charm bracelet as a token of our love for her. She was thrilled about this, and it was a special moment we will always remember,” the bride reminisced. Justin proposed at a family party at my parents’ house. It was important to him that we had our families share the moment. His mom was visiting from the east coast and was able to be a part of this special day with us. We wanted someone who would alleviate the stress of planning a wedding long distance. Tammy Waterman, owner of Special Moments Event Planning made our lives so much easier throughout this whole process. When we met with her she was clear and effective on what she could help us with and where we could save money and time. She knew all the vendors and locations we wouldn’t know being from out of the country. It was the best choice we could’ve made and worked out so well for us! Special Moments surpassed our expectations in every way. I wanted to have a classic elegant look, yet keep things a little tropical. I really loved the idea of having my hair swept back with natural makeup. We were so pleased with Michele Renee The Studio. The owner, Michele, came to our condo and managed to fit doing makeup and hair for eight ladies. They really listened to what each individual wanted and customized our looks. The makeup and hair lasted all day in the humidity and rain. We were looking for someone to capture the day and the mood. We didn’t want to spend a ton of time posing for pictures. It was important for us to spend as much time with our friends and family that day. Ashley of Grind and Press Photography was genius at capturing the special moments and making sure we were able to get the important shots. Ashley was really thoughtful and efficient. We were able to arange everything over the phone before the wedding day. She went above and beyond on the wedding day and seemed like she managed to be in two places at once. We have so many amazing prints now that we can’t decide which to use. Tropical and elegant. I had an idea to incorporate pineapples in the arrangements, and it snowballed from there. We ended up with aisle decor, boutonnieres and drinks with the pineapples and tropical flowers everywhere. We are from Canada, so we spend a lot of the year in the cold weather, and the beach has always been our escape. We wanted our wedding to feel beachy, tropical and bright throughout the whole day. Bright! The flowers were the center stage, and the main color of our wedding was calm and muted. We stuck with navy (groom/best man’s suit and table linens), pale blue (maid of honor), and gold for everything else. We wanted to make sure that we had a fun party for everyone of all ages from 2-90. Grant Hemond & Associates was recommended from our wedding planner, and we had also seen many great reviews online. Jason was suggested to us and we are SO happy we hired him! He was the best and highly recommended; it was easy to see why. We wanted a lot of Motown and newer songs that would be suitable for ages 2-90. The music was seamless between cocktail hour and throughout the dinner. Jason was on top of the scheduling and keeping everything running smoothly. We have had so many guests comment on how amazing the DJ was. I can not say enough great things about Jason and Grant Hemond. Make sure you hire the right wedding planner! Plan a lot ahead of time so you can enjoy the day off. We chose to do a first look before the ceremony so we could celebrate with our guests during the cocktail hour. It was the right choice for us because the night went by so fast that it was great to have the extra time with everyone. Plus, the first look was an event in itself and so memorable for just us.